Every Recipe...A Year's Worth of Cooking Light Magazine (Cooking Light Annual Recipes). 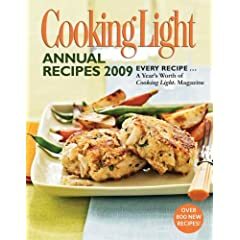 Cooking Light Annual Recipes 2009 is jam-packed with more than 1,000 mouthwatering, indulgent recipes. It's also so much more than just a recipe collection! 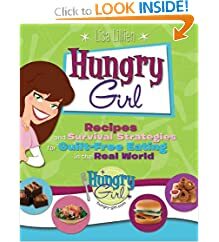 Recipes and Survival Strategies for Guilt-Free Eating in the Real World. From breakfast ideas and chopped salads to guilt-free junk food and cocktails, Hungry Girl recipes taste great but are low in fat and calories. The Science and Lore of the Kitchen. Harold McGee's On Food and Cooking is a kitchen classic. Hailed by Time magazine as "a minor masterpiece" when it first appeared in 1984, On Food and Cooking is the bible to which food lovers and professional chefs worldwide turn. 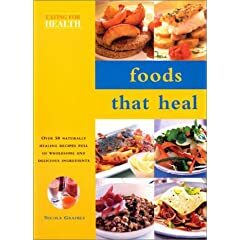 Essential facts about the powers of health-giving foods and their traditional healing uses are presented in more than 300 color photos and 100 enticing vegetarian recipes. Fabulous Flavor from Simple Ingredients. 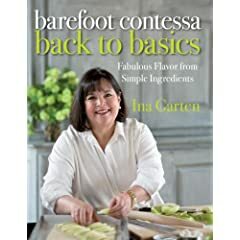 Barefoot Contessa Back to Basics is the essential Ina Garten cookbook, focusing on the techniques behind her elegant food and easy entertaining style, and offering nearly a hundred brand-new recipes that will become trusted favorites. 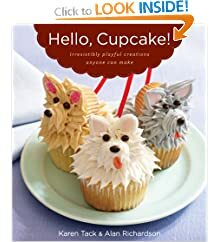 Irresistibly Playful Creations Anyone Can Make. WITH JUST A HANDFUL OF CANDIES, a can of frosting, a ziplock bag, and some cupcake batter, you are on your way to having fun. Do you think that healthy food couldn't possibly taste good? Does the idea of "eating healthy" conjure up images of roughage and steamed vegetables? 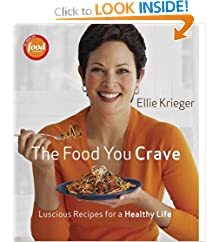 Author Ellie Krieger, host of Food Network's Healthy Appetite, will change all that.